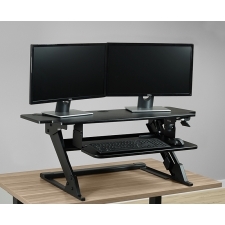 Starting At $299.00 + Free Shipping! 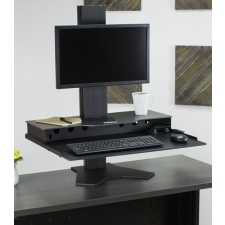 The Flexispot 35" standing desk converter allows you to easily turn any desk into a standing desk. 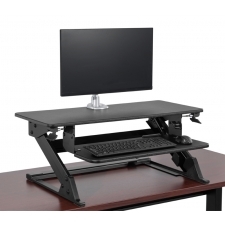 It has 12 adjustment options, with 15" of overall height adjustment. The Flexispot is very easy to operate and includes one of the best warranties in its category. The M2 is a great value at $299.00 and scored an 8.1/10 on our in-depth review. The FlexiSpot M2 comes with a 5-year warranty. There are no exclusions.